One of the worst things that can happen to a homeowner is to discover a bed bug infestation, as bed bugs are extremely annoying and very difficult to get rid of. However, you can be rid of them for good if you pay attention to detail and take a meticulous attitude towards bed bug and egg removal. Here's an in-depth guide detailing the best ways on how to get bed bugs out of your clothes to reduce anxiety and to help control the infestation. The first step to getting bed bugs out of your clothes is to organize them according to a couple of different criteria. First of all, determine what is infested and isn't infested. You don't want to keep your infested clothing anywhere near anything that's not infested, as this will just lead to cross-contamination. At the same time, you need to be thorough. 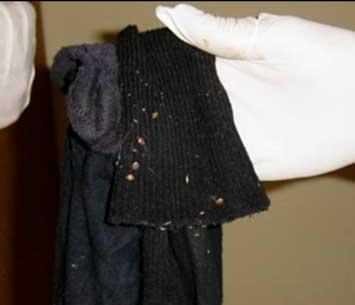 When in doubt, clean it out, because missing a shirt or a sweater with bed bugs in it will mean that they eventually spread out and infest everything again. If you're going to count something as non-infested, make very sure that you're right. You should also sort your clothing according to washing instructions. Anything that can't be washed in hot water in particular should be sorted separately, because the heat of the water is what will kill any eggs that are on the clothes. 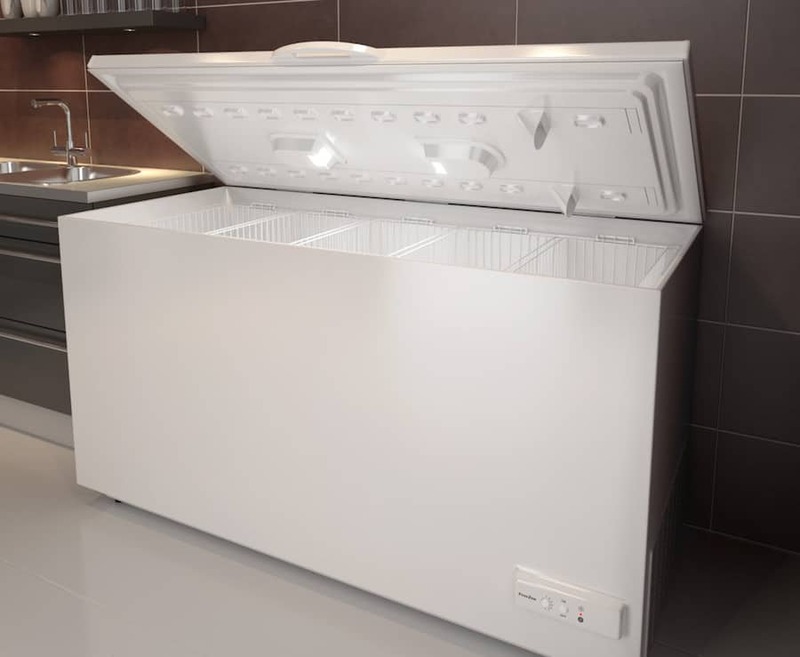 If something absolutely can't be hot-steamed or washed hot, you can also put items in your freezer for at least a week to kill the eggs. It sounds crazy, but it works! Finally, if it will take you a while to clean all of your clothes, keep them organized in bags that bed bugs will not be able to get out of. This will ensure that while they are waiting to be washed, the bed bugs and eggs are contained safely within. Now that you have all of your clothes sorted, it's time to take them to your laundry room. 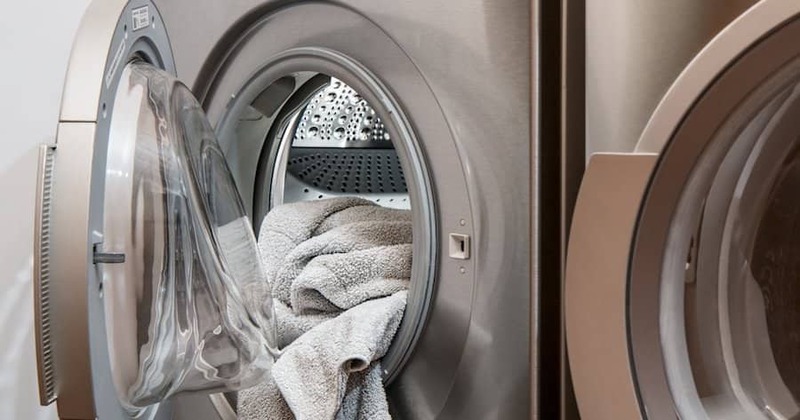 If you do laundry in your own house, you must be careful that they are already in bug-proof bags as you bring them to your washing machine. After all, if any fall out and get into your carpet, you could have a very real problem in a few weeks after they reproduce. Make sure to double-check everything to make sure that you have the right bags and that they all get washed according to the same instructions (water heat, bleach or no bleach, etc.). This will keep you from damaging your clothing during the washing process. When it's time to wash your clothes, you can pretty much wash them as you normally would. However, there are a few things that you must keep in mind when washing bed bug-infested clothing. First of all, you may want to use a detergent that includes bleach whenever possible. Bleach has chemicals that can kill off bed bugs, which just provides you with another possible way to eliminate them aside from the heat of the water itself. When dealing with bed bugs, you can never be too sure! In addition, make sure that you wash your clothes on the highest possible water temperature setting. Anything that can't be washed in hot water may still be contaminated, especially when it comes to bed bug eggs, which are very resilient. Warm water is not likely to do the trick, and cold water definitely won't. Bed bugs can also product a peculiar smell, especially in larger infestations, so a warmer, more thorough wash will also help to combat this, too. Finally, some of your clothes may need to be dry-cleaned. Fear not, as this can be worked around! Many dry cleaners are fully capable of dry-cleaning clothes infested with bed bugs. However, you will want to let the dry cleaner know, so call ahead and then mention it again when you drop your clothes off to be cleaned. The drying process for your formerly infested clothes is also pretty straight forward. Again, heat is a good thing, so you want to tumble-dry your clothes on whatever the highest heat level they can withstand is. Don't feel too bad if you have clothes that you can't dry on super high heat without worrying about them shrinking. It's likely that the high heat from the washing setting will have been enough. Again, as we discussed earlier, if you are truly concerned about a particular sweater or another garment, stick it in the freezer for a couple of days! It will kill off the eggs, which is what you're really worried about at this point. When you're done drying your clothes, make sure to get them away from infested clothes immediately. You have to avoid cross contamination at all costs. Another thing to consider is steaming your clothes. Steam heat will also exceed the 117-degree Fahrenheit temperature at which bed bugs and their eggs start dying off, so it's a more time-consuming way to kill them, but it is certainly effective, which is the most important consideration. Earlier, we touched upon the need to immediately separate your clean, dry, and bed bug-free clothing from anything that may still have bed bugs or eggs. 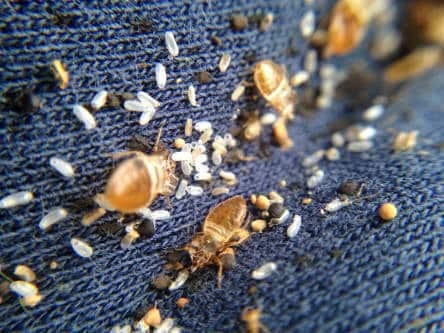 This is perhaps the most important consideration of all as you rid your clothing and home of bed bugs, so let's spend a little more time on the details. First of all, one thing that you should be doing when your clothes are washing or drying is completely cleaning out your drawers, dressers, or closet. Bleach is an irritant that shouldn't be used on your mattress, but it can be used pretty liberally to clean dresser drawers and closets, with special attention given to the little crevices and cracks that bed bugs may be hiding in. Cleaning your clothes won't help much if you put the clean clothes into a dresser that still has bed bugs in it! 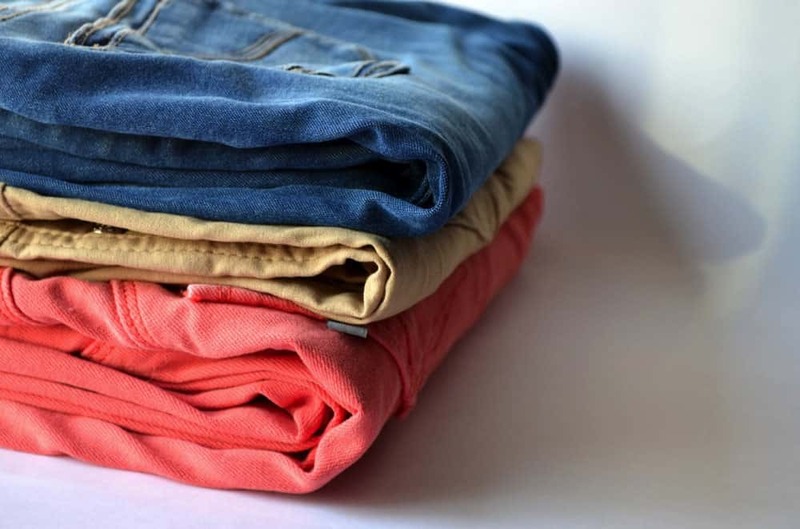 Now, when your clothes come out of the dryer, immediately take them somewhere that is bed bug-free so that you can give them a look over, fold them, and transport them back to where they go. Storing them appropriately is key and keeping them away from the bags of clothes yet to be washed is also vital. If you have concerns that your mattress or other areas may still have bed bugs, avoid laying your clothes on those surfaces or using it as a place to stack clothes as you fold them. Again, take all the precautions that you can to avoid re-contaminating them. Finally, make sure that you immediately take the bags that you have stored your clothes in while waiting to clean them and discard them. If possible, place them inside of another bag, seal or tie it, and immediately put it in the garbage can outside of your home. Don't throw the bags in your garbage in the kitchen or laundry room, as they could still have bed bugs that could escape into the rest of your home. Bed bugs can be difficult to get rid of, but that doesn't mean that it's a hopeless cause! With diligent care to keep items separated, wash and dry them appropriately, and clean the areas in which they will be stored again, you can ensure that the bed bugs are removed from your clothing, as well as their troublesome eggs. Remember, bed bug bites can be similar to other bites, such as mosquitoes, so correct initial identification of bed bugs is crucial if you've yet to see any other signs of bed bugs beside some bites on your skin.